Jury Trial Reality Stallion Castration Case | RANGEfire! NOTE: This story was first posted on Rangefire in August, 2016, shortly after the trial. It is being re-posted now because oral arguments in the resulting appellate case the story is based on are scheduled to be presented to the Utah Court of Appeals on Thursday, October 18, 2018, 11:30 a.m., at Southern Utah University, in Cedar City, Utah, as part of the university’s A.P.E.X. event series. 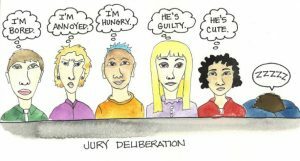 PROLOGUE: To what extent are juries a reliable measuring stick of our society’s fundamental connection to reality? I had been looking forward to observing this jury trial to help resolve growing questions in my mind. I was just a spectator in the case, but the next thing I knew, it was Friday evening going into a holiday weekend. The 40-hour work week had not been long enough. What had been scheduled as a two-day trial, should have been scheduled for at least three. Not surprisingly, after two days of evidence, with long-winded lawyers, the trial was now going into overtime. Because the attorneys hadn’t even finished calling rebuttal witnesses by normal quitting time at 5 p.m., the judge asked the jury about their weekend plans, and what they wanted to do – come back the following week to finish up, or just keep going until they were done? The jurors reported they had already talked about it during one of their breaks. One of the jurors said that he had a family reunion long-since previously scheduled in Canada the following week; they had already reserved and paid for a condominium, and his wife would kill him if he screwed up their plans. Unfortunately, the judge had not seen fit to seat any “alternate jurors,” so there was really no choice but to forge ahead that night, and through the weekend, if necessary, until the trial was completed. Under the circumstances, the resulting consensus was to keep going that night until they were done, rather than return the next day. So the judge said the lawyers would call their rebuttal witnesses, then they would take a short break before instructing the jury and having closing arguments, prior to jury deliberations. It was almost 9 p.m. before the attorneys started their closing arguments. Under the circumstances, it was the jury’s intention to deliberate and reach a verdict that night. For the last few years I’ve had questions growing in my head. Many of them have something to do with the general common sense of average Americans. Is it just me, or does it seem like more and more people are simply becoming disconnected from reality, with less and less connection to anything “real”? We seem to have experienced major societal paradigm shifts since WWII. Among other things, to what extent are average, every day people completely losing touch with the realities of where food comes from, for example, and how shelter is created? 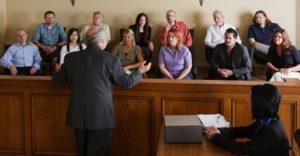 One of the ways I have been wanting to test my theories is through the whole notion of “trial by jury of our peers,” in the right kind of case in our legal system. Recognizing that the vast majority (90+%) of criminal cases in the court system are drug or substance-abuse related – mostly petty drug cases — there are not a lot of great opportunities to really test these theories. For regular court watchers, this particular case definitely offered something unique. So I was looking forward to the jury trial in this case as a possible measuring stick for some of my evolving theories. This case stemmed from an evolving feud between two neighbors in the high desert sagebrush wilderness of the Great Basin. Names and places have been changed to protect the innocent, or guilty, as the case may be. Although the county where this occurred was once considered a “rural” county, it now has a population of approximately 75,000 people, the vast majority of whom live in one main metropolitan area far removed from the remote ranching area where the case originated. The Smith family had been ranching in Railroad Valley for over three decades. This was a unique place. The railroad still runs through the large valley where their ranching operation is located. Roughly a century ago, back in the early 1900’s, based on proximity to the railroad, etc., the whole valley had been homesteaded. But things hadn’t worked out. Apparently Climate Change was just as real then as it is now. 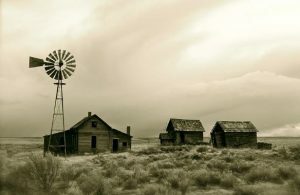 Because of lack of water, by the mid 1930s virtually all the original homesteaders had starved out and abandoned their claims. What this left was a fairly large (10,000+) acre block of private property surrounded by hundreds of thousands of acres of “public” land administered by the BLM. At some point, some enterprising soul had acquired all the old abandoned homesteads, assembled them into a block, and subdivided them into 1-2 acre lots in two subdivisions known as “Vision Splendor Estates,” and “Garden Park Ranchos.” These were very grandiose names for what and where they were. Because of the unique situation in Railroad Valley, Smiths recognized an opportunity for free, open range grazing, and they ultimately acquired a several hundred acre block of lots, including a well, and leased additional ground in the valley, and began grazing their livestock, including cattle and horses on the large block of private property. Their well was one of the few stock watering sources in the entire block. Over the years, a small handful of people had acquired scattered lots in the subdivisions, created residential abodes of one sort or another, and had set-up some degree of housekeeping in the valley. And a few other ranchers had attempted to share the range at times, but to a large extent, Smiths had use of most of the forage to themselves. According to the evidence presented at trial, a few years earlier, a woman by the name of Ms. Haley Allen had shown-up, and taken up residence in the valley. Apparently, she had a checkered past, and was seeking to kind of slip through the cracks of society in this remote border area between two states. She had acquired a one-acre lot for next to nothing. 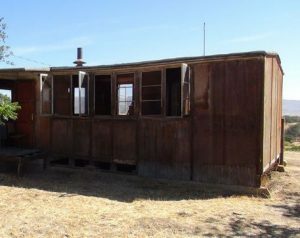 It had no water source, but she constructed a plywood shack, where she lived with her dogs, until the shack burned to the ground, as a result of problems with a woodstove. Then she lived in a camper. On a side note, having had prior exposure to similar situations and characters in my life, I did not find any of this to be particularly surprising. But it did make for a unique situation. According to the evidence, although none of the Smiths actually lived in the valley, and mostly commuted back and forth to that part of their ranching operation, when Ms. Allen had arrived in the valley, they welcomed her to the neighborhood. They provided neighborly accommodations, including access to their stockwater well as her primary water source, from which she would haul water in jugs, buckets and barrels for herself and her dogs. Seemingly good-hearted, Ms. Allen seemed to be something of a magnet for unwanted animals, so in addition to an assortment of dogs, she also started acquiring a few unwanted horses. This was during the time (2009-2013) of both the “great recession” and corresponding horse market crash, when unwanted horses were in great abundance, and it was not unusual for people to simply take horses out and turn them loose in the desert, rather than feed them. 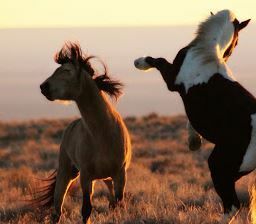 These were not “wild horses” per se, but they were, by statutory definition, “estray,” feral horses. According to the evidence presented at trial, it didn’t take Ms. Allen long to decide that it was easier to just turn “her” newly acquired horses loose in the desert to fend for themselves, rather than make the effort to haul hay and water. 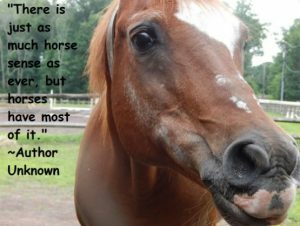 Horses both eat and drink a lot more than dogs. Because applicable state law required that any livestock, including horses, turned out to graze, run, or roam at large, be branded, by statutory definition, however, Ms. Allen’s unbranded horses were likewise “estrays.” But with horses being the social animals that they are, it didn’t take long for “her” horses to start co-mingling and running with Smiths’ ranch horses. Otherwise, Ms. Allen did nothing with the horses. She didn’t ride them. She didn’t even know how to ride. She didn’t handle or train them, because she had no experience. It didn’t take long before she couldn’t even catch them, and didn’t even try to. She just admired them from a distance, and considered them to be “hers,” as they drank Smith’s water, and competed for the native forage on the drought-stricken desert ranges. Over the course of the next few short years, between additional “free” acquisitions, and the colts they reproduced with her prized pinto stallion Calico, there were 30+ horses that Ms. Allen claimed to be “hers.” According to the evidence presented at trial, they were all running illegally, without being branded. She didn’t own a brand and would never consider branding a horse she said. She had no brand inspections, and she was completely thumbing her nose at the state law prohibiting such management of stallions. In fact, by then, there were multiple young, unaltered stallions in the band. But, despite their complaints, no one but Smiths seemed to care. According to the evidence presented at trial, one of the apparent reasons there was no enforcement was because of “bad blood” that had developed between the Smiths and the local county sheriff’s office. Over the years Smiths had requested help from the sheriff’s office for a variety of incidents, ranging from stuff being stolen to cows being shot, and livestock disappearing, but they felt like the sheriff’s office ignored their complaints and was completely unresponsive. So over time they had become vocal critics of the sheriff’s office. And the more critical they became, apparently the less interest the sheriff’s office had in doing anything to help them. In fact, the sheriff’s office and DA started looking for a good opportunity to retaliate and try to bust Smiths’ chops and teach them a lesson. According to the evidence, that opportunity came after approximately 5 years, and Smiths had absolutely had enough of the prized stallion Calico. As some range stallions do, he had become very aggressive and domineering. Not only would he kick, bite and run-off Smith’s cattle – especially when they were trying to water, or eat hay that Smiths put out for them in the Winter, Calico got to the point that he would charge Smiths and challenge them physically any time they came near. It got to the point that they could hardly gather their cattle. Whether they were on a horse or an ATV, Calico would charge them, and try to engage them, kicking, squealing, and striking, with his ears laid back and teeth bared, as if he viewed everyone and everything as a rival stallion, and a threat to his growing harem. According to the trial testimony, if Smiths didn’t happen to be mounted on a real reliable horse, things could get real “western,” and become very dangerous. Based on the growing problem, they had repeatedly complained to Ms. Allen, and the county sheriff’s office, but neither of whom seemed to care, and completely ignored their complaints. According to the evidence presented at trial, on the occasion in question, Elias Smith, the 76 year-old patriarch of the outfit was riding a young, fairly green-broke horse when he encountered Calico, who attacked Smith on his young horse, at which point he completely lost control of the horse, and they were chased over a mile through the sagebrush, all the way back to Smiths’ corrals, where Elias was finally able to load both himself and his horse in a stock trailer, before being seriously injured or killed by the rogue stallion. At that point, Elias had had enough. When the whole mob of horses followed, and came into the corrals to water, Elias shut the gate. Smiths had several yearling colts that had been sired by Calico running in the mob, that needed to be cut (castrated) anyway, so they sharpened their knives, cut their colts and Calico too while they were at it. This was in April, 2013. According to the evidence presented at trial, the sheriff’s office “investigated” the incident for over five months, and in October a deputy showed up at the home of young Jay Smith (Elias’ son) and arrested him for “wanton destruction of livestock.” Jay Smith was thrown in jail for three days with no opportunity to appear before a magistrate or post bail. When he was finally allowed to appear to talk about his detention, the county attorney argued for bail of at least $20,000. Under the conditions and circumstances, the magistrate set bail at $5,000. But when Jay’s family attempted to post bail, the sheriff’s department wouldn’t release him until he posted $10,000. At the time Jay Smith was arrested, the arresting officer had no brand inspection proving ownership of the horse, and had no evidence of the value of the horse except what Ms. Allen told him. Ms. Allen claimed that Calico was worth at least $15,000, which, based on the value, made the alleged offense a second degree felony – which the state claimed completely justified its treatment of Jay Smith. And this brings us to the single most interesting issue at the trial. Based solely on the alleged, uncorroborated value of the horse, the state prosecutor charged Jay Smith with a second degree felony, for which, even with an otherwise squeaky-clean record, he could spend at least five years in prison. 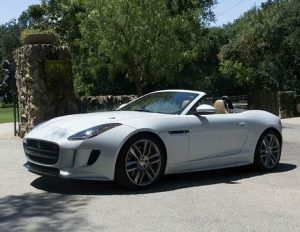 To help shed more light on this expert, during the trial, when a conversation about cars and vehicles came up between the DA’s office staff sitting in the courtroom, she was overheard telling them that she has a 2006 convertible Jaguar that she uses for an ATV on her “ranch,” and only drives from the house to the barn when it is raining. She said it only had 10,000 miles and the digital read-out showed that its average speed was just 15 mph. Such statements offered a clear contrast between the glass bubble she lived and operated in, and the cold, hard facts of the desert range where no one fed Calico crackers on the weekends. During the trial, this expert testified that based on pictures and information Ms. Allen had provided via email, she had determined that, conservatively, Calico was worth at least $15,000 as a breeding stallion, and that castration had reduced his value to $1200. On cross examination, however, she had to admit that she had based all her estimations on false information provided by Ms. Allen, and that rogue stallions typically don’t make good “pets.” She also had to concede that the difference between Railroad Valley, and Gainesville, Texas, is about like the difference between Earth and the planet Mars. Her convertible Jag might have actually been more “at home” on Mars, compared to Railroad Valley. Smith’s own expert was an old-fashioned horseman from New England, who had moved West over 20 years earlier. In addition to being a horse trainer, he was a retired insurance adjuster, specializing in horse-related claims on the East Coast. He had moved West to have a “cowboy” experience before both he and the West were gone. 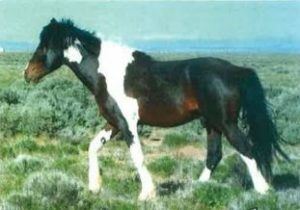 He testified that based on the realities of the horse market at the time, Calico had essentially no realistic market value as a breeding stallion. Among other things, he explained that during the time period when the horse was castrated, according to the Billings, MT, Horse Market Report, there was little if any market demand for breeding stallions of almost any stripe – let alone an unexceptional foxtrotter. 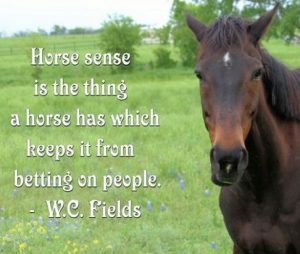 And the only kind of horses worth any real money were well-trained geldings. He said at the time many very nice stallions were being castrated and sold as geldings. Consequently, he testified that horse’s only real value was as a gelding, with enough training. Taking a common sense approach, he testified that Smiths had actually added value to the horse by castrating him, and as a gelding he might be worth $500. 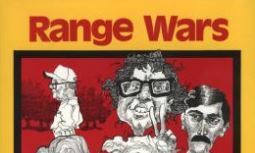 The other big issue had to do with the concept of Justification, and the long-standing constitutional and common-law right to exercise force to defend oneself, one’s property and others, and the right to have the jury instructed regarding the concept of Justification, based on the inherent, natural right to exercise force to defend against dangers like those posed by the rogue pinto stallion. At trial, Smiths didn’t attempt to hide anything. 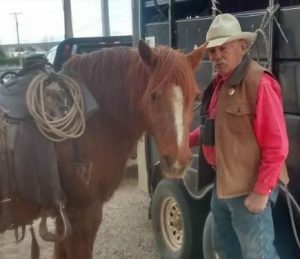 Jay Smith straight-forwardly admitted to castrating the horse, and explained why. The only real factual questions were whether the State had actually established that Calico belonged to Ms. Allen under applicable law, and what his fair market value actually was. Contrary to applicable state law, however, the trial court judge ruled that a brand inspection was not necessary to establish ownership, and that Smiths were not entitled to jury instructions regarding Justification for the exercise of force to defend themselves or their property. So really the only question for the jury was value. Was this a Second Degree Felony, as the state alleged, or a Class B misdemeanor, based on the more realistic value of the horse. It was for the jury to decide. I was so interested in seeing what the jury would do, that I stuck around to the bitter end, and even waited through their deliberations, so that I could hear the jury’s verdict, delivered in the wee hours of Saturday morning. I was most interested to see if average people in this country – a jury of one’s peers – have become so disconnected with reality that they would buy the state’s argument, supported by their expert witness’ testimony that the horse in question – at best an average spotted horse with testicles, turned loose to fend for itself in the desert – was worth $15,000? Although I was nothing more than a spectator in the case, even my own heart rate was elevated as the jury came back into the court room following an hour or so of deliberations, and the judge asked them if they had reached a verdict. They said they had, and handed the verdict form to the court clerk who read it. “We the jury find the value of the livestock in question to have a value not exceeding $500. In conclusion, no real commentary is needed. The record speaks for itself. Although the judge, prosecutor and sheriff’s deputies themselves were all sufficiently disconnected from reality that they were drinking the state’s hired gun expert’s Kool-Aid by the gallon, I’ll have to admit, the jury verdict dashed my theories, and helped restore just a little bit of my otherwise dwindling faith in the system and the current state of our society. Maybe there is still hope. EPILOGUE: Some time after the trial, and after the character called Haley Allen in the story had left and moved out of the valley, he/she wrote Elias Smith a letter of apology, stating, among other things, that he/she had found God, and wanted to at least confess and apologize for some of the things he/she had done, including but not limited to stealing a variety of things from Smiths, including their generator, and shooting and killing one of their horses, which had mysteriously disappeared.